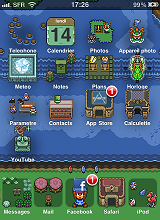 Katone proposes a lockscreen for iPhones about Zelda! All the explanations for installation, as well as a zip file to download, can be found on his website. 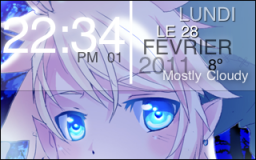 Thank you to Katone who has created a theme for iPod Touch and iPhone! His website holds all the explanations for installation, as well as a zip file to download. 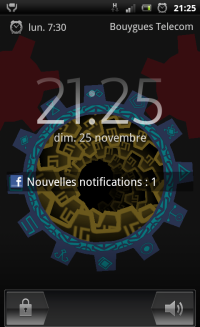 Thanks to Sylvain who has found on Google Play a very nice animated background inspired from Skyward Sword which reproduces the Gate of Time! 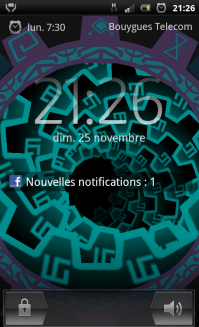 This app is free, configurable to avoid overusing the battery, and customizable (colours, action, etc.). With a simple pressure on the gate, it activates and lets you see the vortex of time. 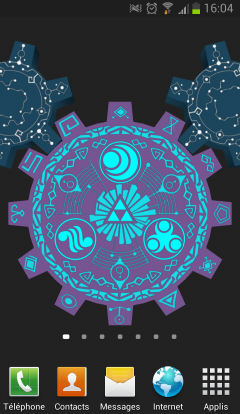 or write "gate of time" in Google Play. Thanks to Siloner and Kaniote for the screen captures. Note: You should either place it in your mobile phone's memory with the cable sold with it, or put it on a SD card. Then select the music and save it as a ringtone, or else use the mobile parameters. More information in your user guides.